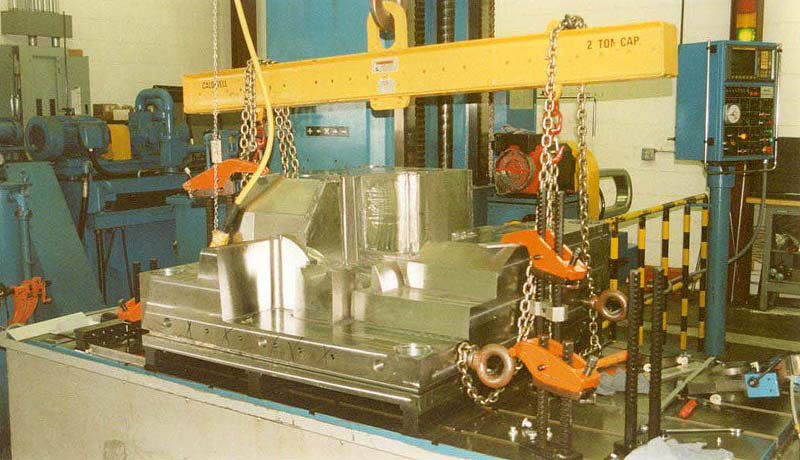 Gallery of Gundrilling Projects | American Machine & Gundrilling, Inc. 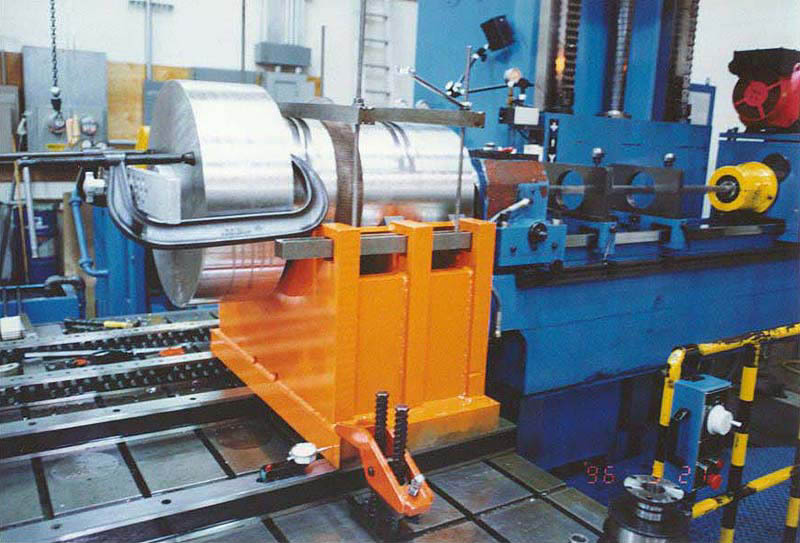 Roughed Out Super P-20 tool steel plate being gundrilled for cooling passages. 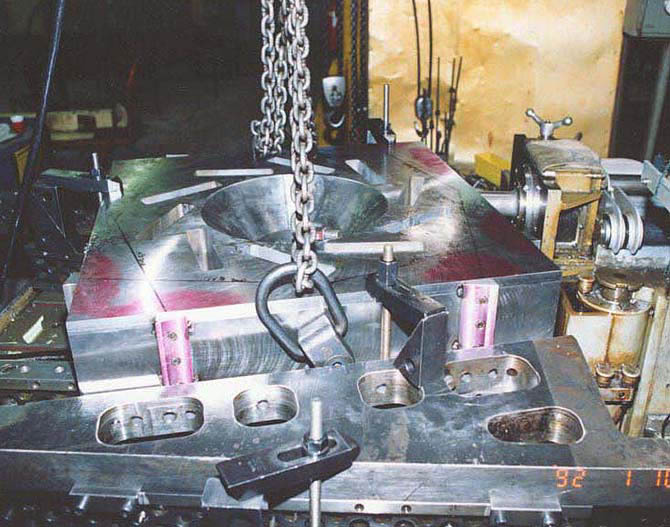 Casting with 6 holes being gundrilled through. 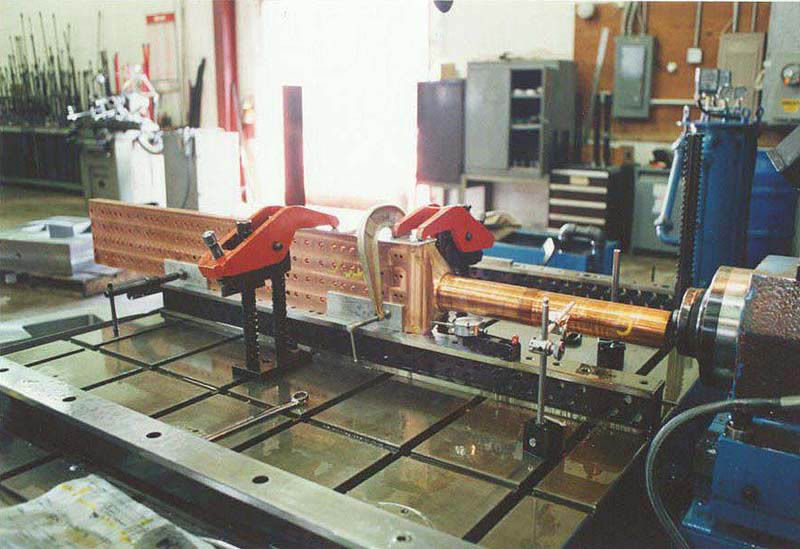 Copper part irregular shaped being gundrilled with 4 holes .500" diameter into retangular end and 2 holes .375" diameter & offset being gundrilled into round end. 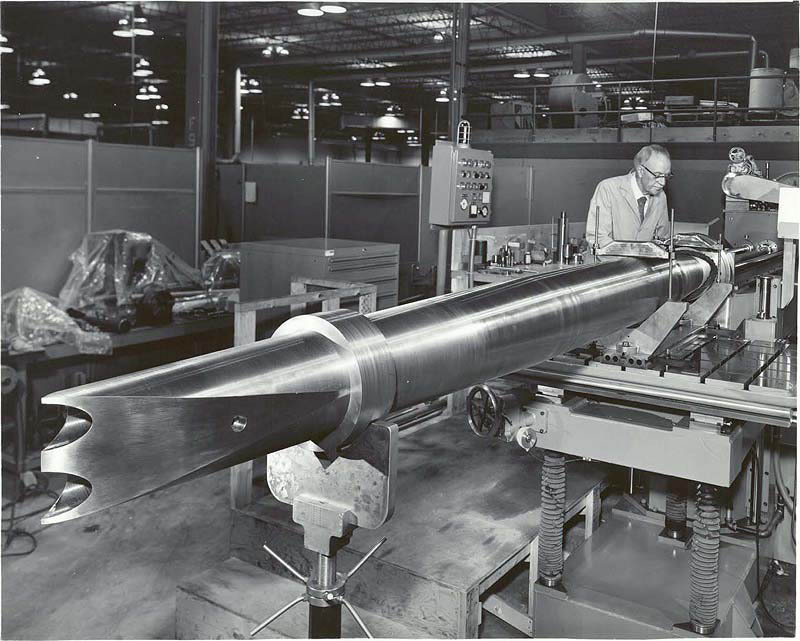 36" flanged piston drilled 1.500" diameter x 42" through 4340 alloy forging. Yaw & Pitch actuator for wind tunnel gundrilled 1" diameter by 100" deep. 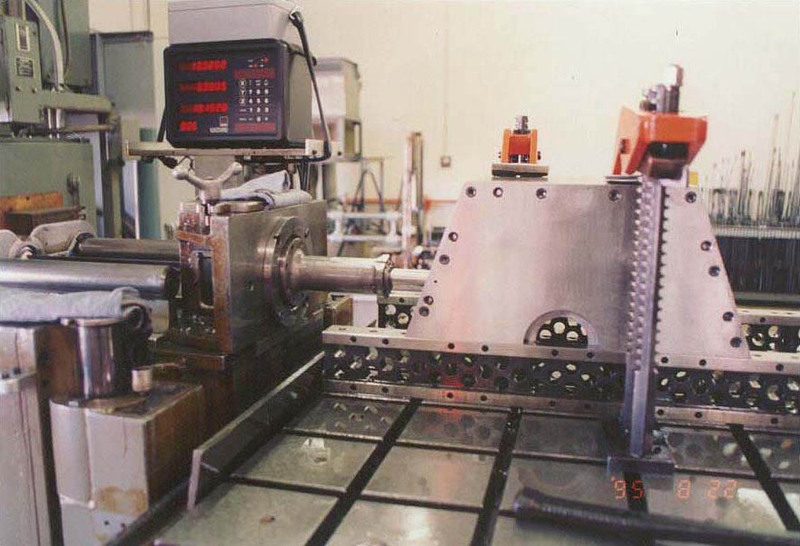 Extended bushing gundrilling into radius of casting. 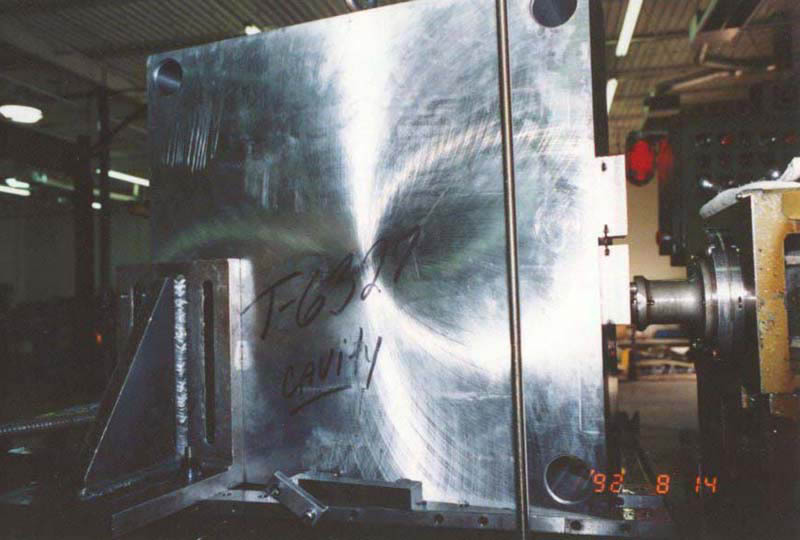 Large bolted assembly that we deep hole drill cooling passages through and entering on a angled surface (angle is problematic). 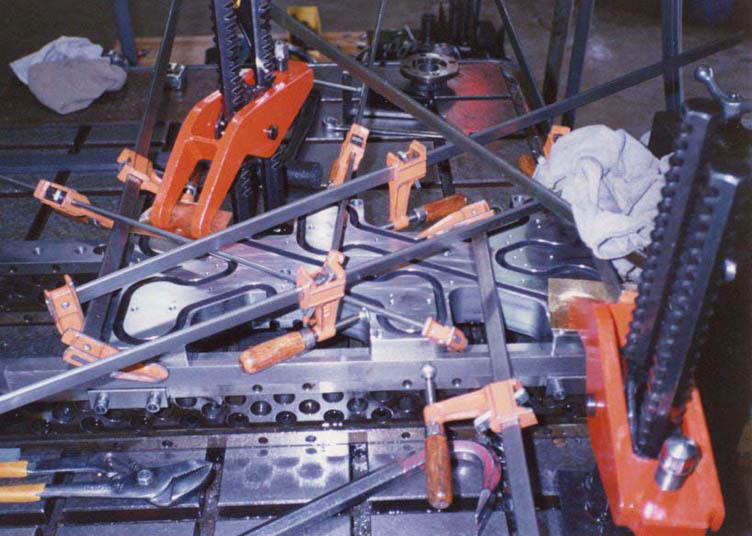 Mold industry "x-manifold" being gundrilled with intersecting holes that require several clamps and plugs to contain the high pressure oil used in gundrilling as operators do not like being sprayed with oil. 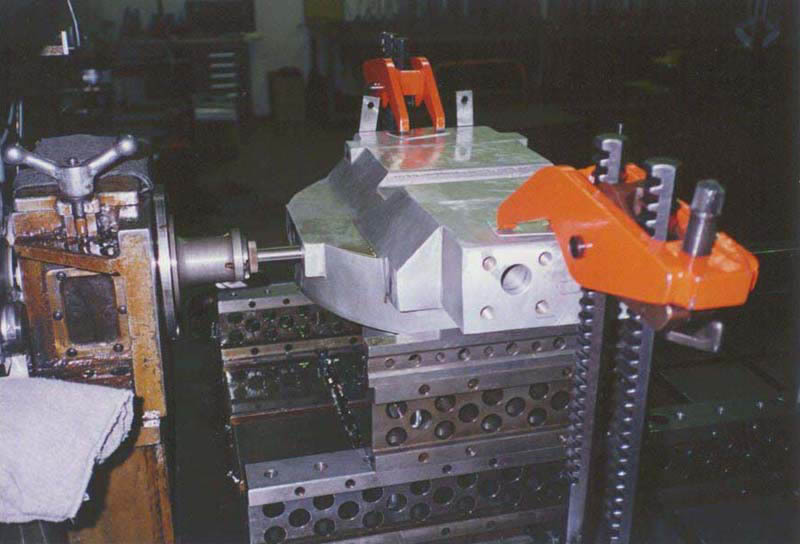 Another mold plate with gundrilled holes being drilled at an angle which require angled plates being used to give angle for gundrilling.